You can find this boat in every sail school. Made for learning, he permits the user to have first contact with sail navigation, in a secure and simple way. Capsizing are rare, and the leisure will always be present. For children of 7 or more. Boat with two shells connected by a trampoline. Propulsion thanks two sails (the foc and the big sail). Alone or by two, thanks to the catamaran you will enjoy speed and equilibrium. With some training, and a light breeze, the shell will quickly rise, then it's your turn to drive with hability in order to stay right as more as possible. For children aged 11 or more. After being watered and find your equilibrium for rise the sail without fail (1st goal) you will quickly enjoy this activity, which is the fastest of the lake. 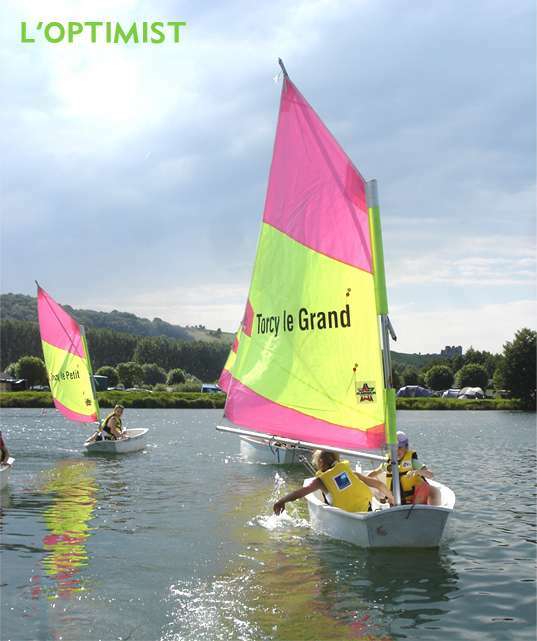 Before practice in the sea, the lake of Varenne Plein Air is still the best place to learn windsurf in total security. Perfect for having good time with your family or for 2 persons, the canoë will allow you to discover the banks of the lake and the animals living around the lake. For chilren of 8 or more. 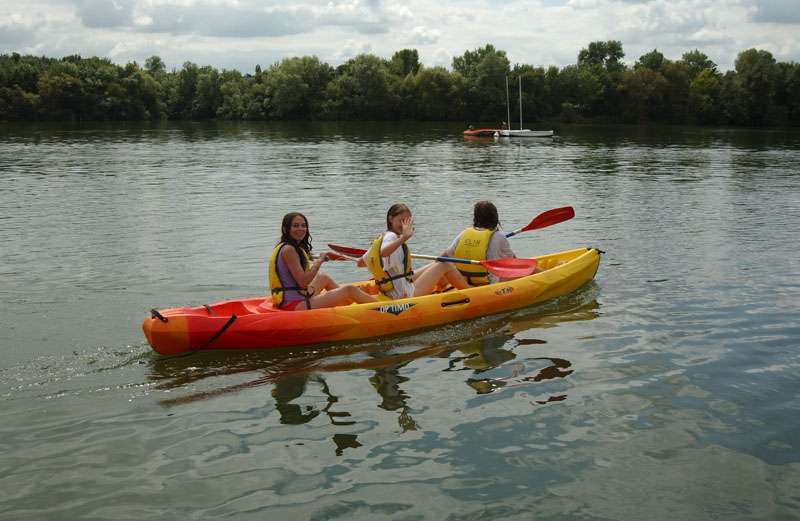 The activity everyone love, the kayak is both simple and fun. Our kayaks are opens, and even if you overturn, there's no risk at all. Except the one of being wet ! For children aged of 8 or more. 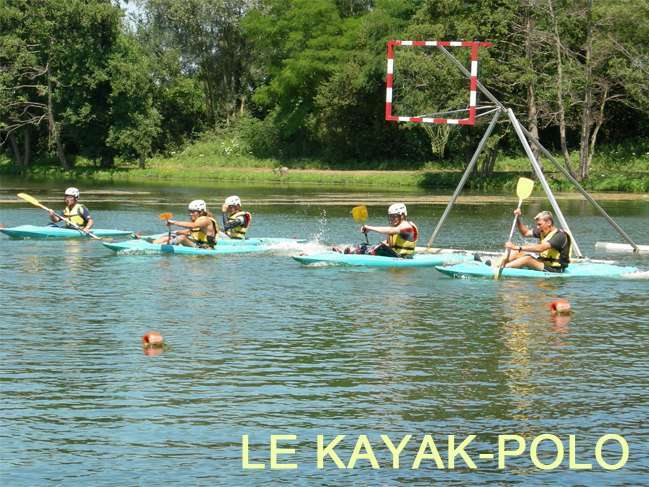 The kayak-polo, also called canoe-polo in some countries, is a collective sport. 2 teams composed of 5 players, all of them in a kayak, are fighting in a rectangular area during 2 periods of 10 minuts. Mix of basket ball, handball and kayak, this is a physical activity that focus on your speed, your ability, and your teamwork. 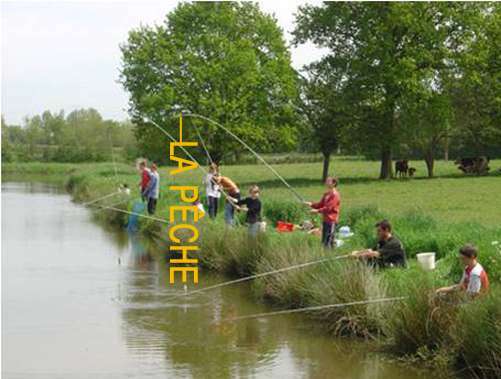 Patience, luck and perseverance will make you the perfect fisher.